"Japan's Perception in the World after Fukushima"
Over the last 20 years, the dominant perception of Japan was that of an economic giant suffering from the “4D” -- demography, debt, deflation, and dysfunctional leadership. The focus of governments, businesses, and the media shifted from Japan to China and India. The triple disaster on March 11 pushed Japan back to the center of the world stage. In particular the Fukushima catastrophe captured continuous front-page coverage for weeks, often in a sensationalist manner and thus exacerbating the panic among foreigners. First, what explains the deep gap between the level-headed reaction of the Japanese and the panic of many foreigners? Culture, values or other reasons? Second, is the dramatically increased global awareness a blessing or a curse? 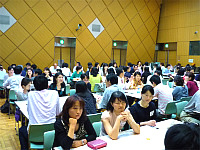 How can Japan translate it into a competitive advantage, overcoming the image of stagnation? 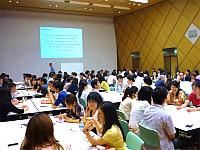 The seminar will explore these issues in the form of a short presentation, group work and discussion. 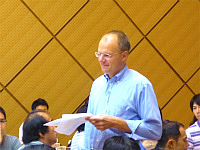 Dr. Stefan Lippert is a professor of international business studies and a management consultant. 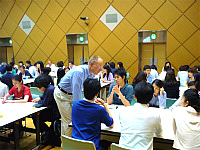 He teaches at Temple University, Japan Campus, and part-time at other MBA programs, including the Kenichi Ohmae Graduate School of Business, Tsukuba University, and Hitotsubashi University. His research interests include the internationalization of service firms and SMEs, and the global integration of Japanese/Asian firms. 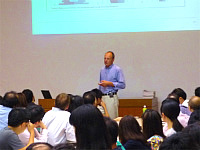 In his consulting work, Dr. Lippert advises Japanese and international companies primarily on matters of strategy, marketing, and cross-border M&A. 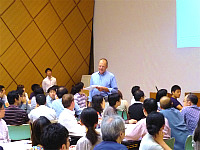 He was the Managing Partner Japan of Simon-Kucher & Partners, a global strategy & marketing consulting firm. Prior to joining Simon-Kucher, Dr. Lippert worked with McKinsey & Company.